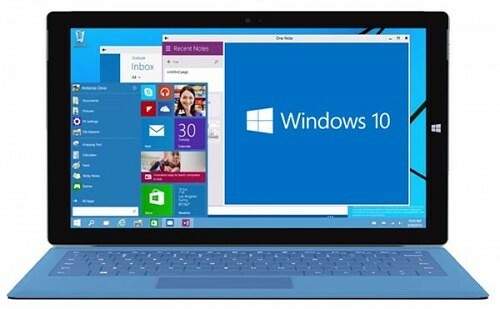 The Windows 10 Technical Preview has been out in the wild for a little while now. In fact, our very own hardware editor Eric Garay has already discussed some of the things that he liked (and that he didn't like) about the Windows 10 preview build. However, that preview has been restricted to a keyboard-and-mouse experience thus far. Fret not, friends of fingers and styli, because the Windows 10 touch features are coming very soon. The touch element of Windows 10, which is being called Continuum by Microsoft, is effectively a continuation of the some of the gestures we already saw in Windows 8... which I suppose makes sense, given that Windows 10 is a mashup of Windows 7 and Windows 8 with some not spice tossed in for good measure. Continuum is meant to make it easy to switch between a Windows 10 touch environment and a more traditional non-touch interface, which is precisely what you'd be doing on something like the Surface Pro 3. While an exact date has not yet been announced, Microsoft has indicated that Continuum will be added to the Technical Preview program in the coming months, possibly before the end of the year, if not early next year. At that time, you can have all your fun with the Windows 10 touch optimized features, like the automatic appearance of a back button when a keyboard is disconnected from your tablet device. With over a million people testing it, Microsoft should have a fairly polished product by the time Windows 10, complete with touch, launches in final retail form.